Obituary for Maria Fatima (Viveiros) Canario | George C. Lima Funeral Home, Inc.
Maria Fatima (Viveiros) Canario, 84, passed away on August 23, 2018 at Orchard View Manor. She was the wife of the late Manuel Canario. Born in Horta, Faial, she was the daughter of the late Manuel and Teresa Viveiros. 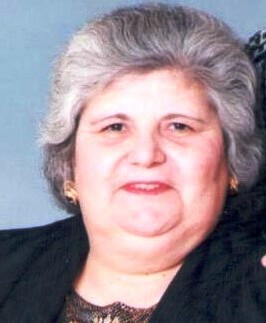 She was the mother of Manuela Almeida, Gorrett Canario and Manuel Canario Jr; grandmother of Christopher Almeida, Carlos Almeida, Robert Almeida, Richard Almeida, Fernando Costa Jr, Heather Costa and Maddox Canario; great grandmother of Benjamin Costa and Ava Milhomens and sister of Ilda Viveiros. Mrs. Canario was educated in Portugal and employed by Premium Thread and Karew before retiring. She was a very generous person giving to those who were less fortunate. She loved cooking and enjoying family and friends together. Calling hours are Monday, August 27th 7:30 – 8:30 AM at the George Lima Funeral Home 367 High Street, Bristol followed by a Mass of Christian Burial, 9 AM at Saint Thomas the Apostle Church 500 Metacom Avenue, Warren. Burial will follow in St. Mary of The Bay Cemetery, Vernon Street, Warren. Memorial donations may be made to: Hope Hospice 1084 North Main Street Providence RI 02904.